A trio of compact concepts caught my eye among all the supercars and crossovers at this year’s Geneva motor show. While all three are officially design studies rather than direct precursors of production models, that line is often a thin fib. And it seems a real stretch for two of these cars in particular. 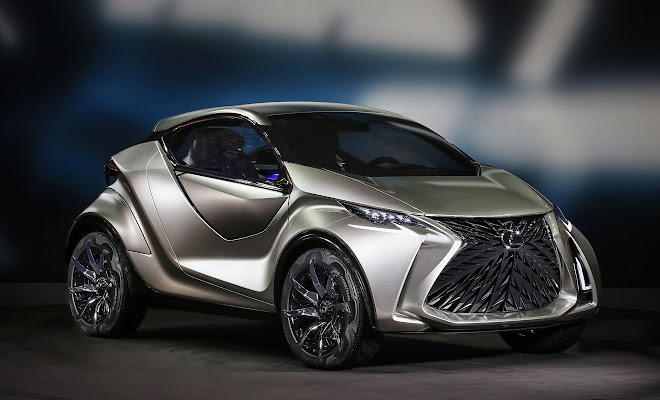 The LF-SA is a concept vehicle suggesting how Lexus might answer the city car question, if anyone were to ask it. The four-letter name stands for Lexus Future – Small Adventurer, apparently. Clearly not immediately destined for production, the LF-SA may well presage a future Lexus smaller than the current CT-200h, with which the Japanese company might compete with the Mini hatchback, BMW 1-Series or Mercedes A-Class. Much like its cousin the Toyota iQ, the Lexus LS-FA is a short, wide and tall city car with 2+2 seating. 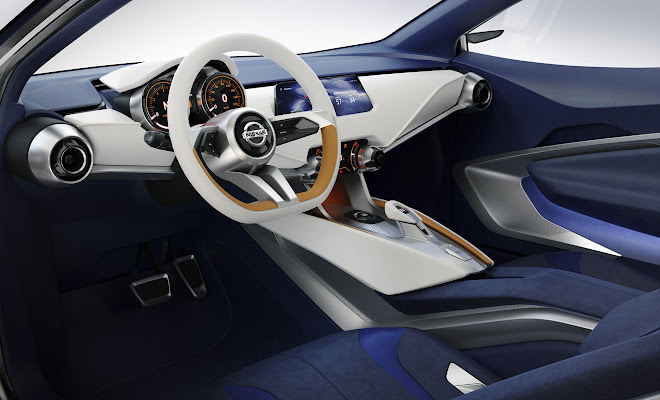 Unlike the iQ, it doesn’t appear to have a repellent interior made of doubtful plastics. 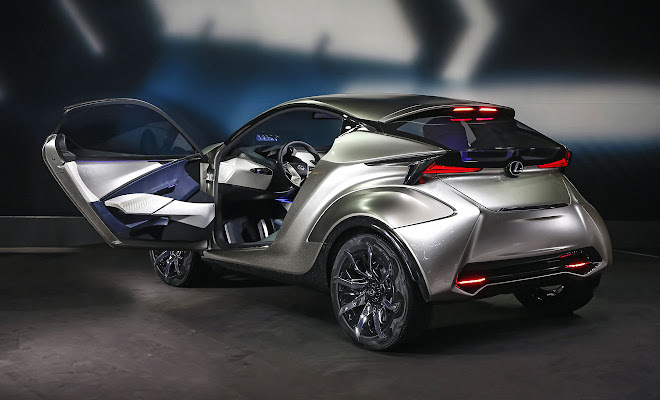 The Lexus concept is actually a little more generously proportioned than the iQ on the outside, closer in footprint to the Toyota Aygo, though with an extra 10cm of width. And despite not being any taller than an Aygo, the LF-SA manages to project a buggy-like off-road stance, by virtue of gargantuan wheels. The LS-FA’s styling is aggressive enough to make the normally sharp looking Aygo seem like a lump of Play-Doh by comparison. It will be interesting to see how much, if any, of the concept Lexus makes it onto the road. 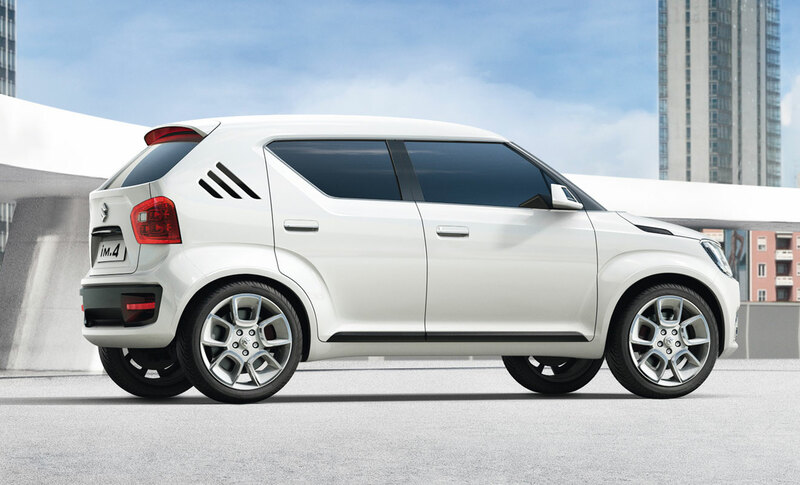 Japanese maker Suzuki has a long history of cramming interesting cars into modest proportions. I’m thinking Swift, Cappuccino and SC100 to name just a few. 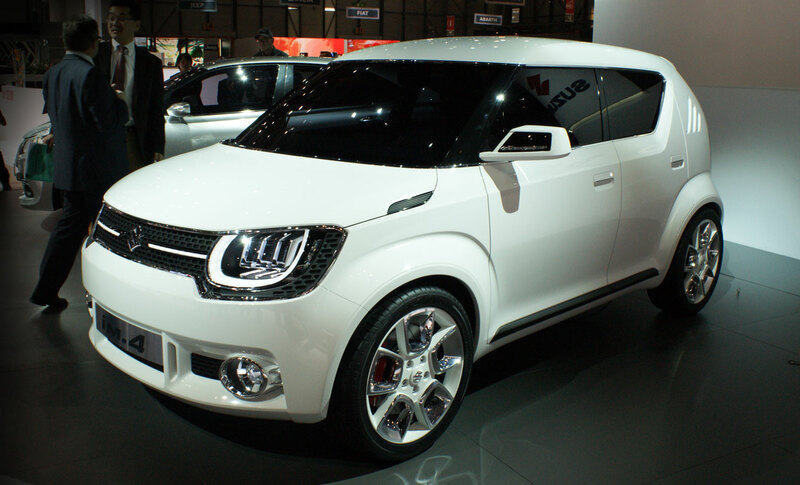 The iM-4 is a small off-roader about the size of a Panda 4x4, but with enough visual impact for a car twice its size. And it gets that presence not just by echoing Suzuki’s considerable back catalogue of chunky 4x4s such as the boxy SJ or bulging Vitara. There are shades of that SC100 I mentioned in the mix as well. 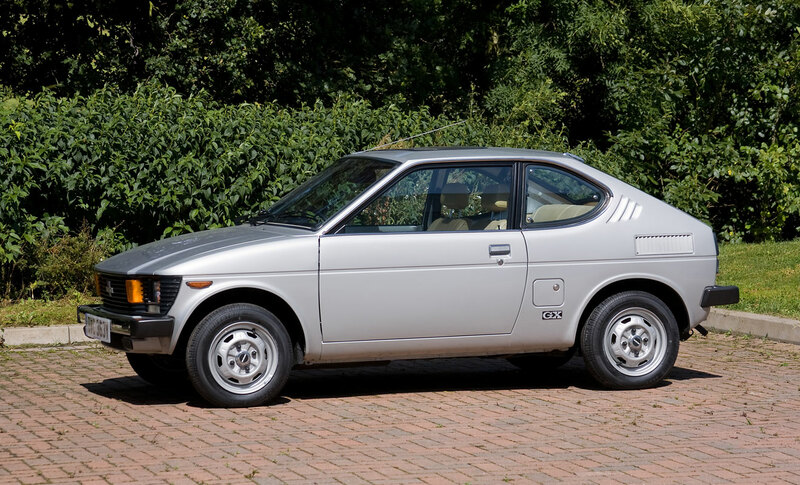 For those not intimately familiar with Suzuki’s quirkiest hour, the SC100 “Whizzkid” was a rear engined 2+2 coupe about the size of a shoe, sold for a few years in the UK from 1977. It was, by all accounts, incredible fun to drive as long as you could fit yourself inside. With rear-wheel-drive and an engine at the back it was something of a poor man’s Porsche 911, with the emphasis on the poor rather than the Porsche. The Whizzkid’s 970cc engine provided just 47bhp and it ran out of whizz before breaching 90mph. The angle of the iM-4’s hatch and the trio of diminishing slots at the back all nod appreciatively at the old rear-engined tot. The rest of the new car is also rooted in the 1970s, given that it looks exactly like a Star Wars stormtrooper helmet on wheels. According to Suzuki, the iM-4 is a mild hybrid 4x4, with an integrated starter-generator (ISM) capable of assisting its 1.2-litre engine and recapturing kinetic energy, hooked up to a lithium-ion battery of unspecified size. The current generation Nissan Micra was designed as a world car, intended for sale in multiple markets with only small changes to cater for local tastes. And in common with most world cars, it wound up feeling ideally suited to someplace other than here. Unveiled alongside the outlandish, attention-grabbing Nissan Juke crossover, the Micra seemed all the more bland, timid and tame. A thorough makeover in 2013 struggled to fix things. 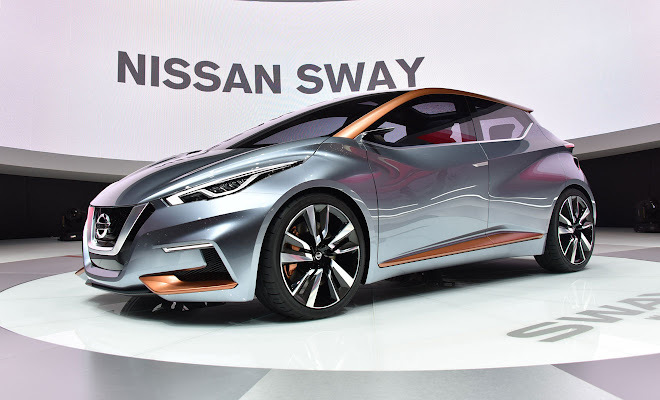 Nissan seems keen not to repeat its blunder, and the swoopy Sway concept illustrates how the company’s next small hatchback might look. A lot better, in short. The current Micra is a sort of half-way house in terms of size, bigger than most city cars like the Peugeot 108 or VW Up, but smaller than superminis like the Ford Fiesta or Kia Rio. 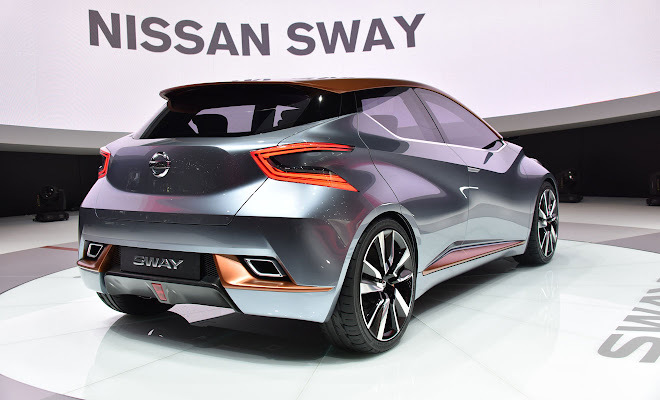 At just over four metres long, the Sway would be at the upper end of the supermini spectrum (and not much smaller than the current Nissan Note), perhaps leaving Nissan with a confusing line-up. Better to be confused than indifferent, however. Next to the Micra, the bold and distinctive Sway looks like a move in the right direction.